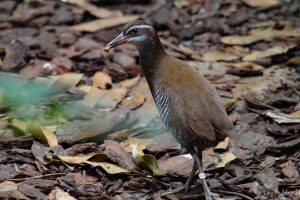 CINCINNATI (August 21, 2018) – Guam rails are extinct in their natural habitat, but there is still hope for the species. Two chicks that hatched earlier this month at the Cincinnati Zoo & Botanical Garden may play a part in bringing the wild population back! 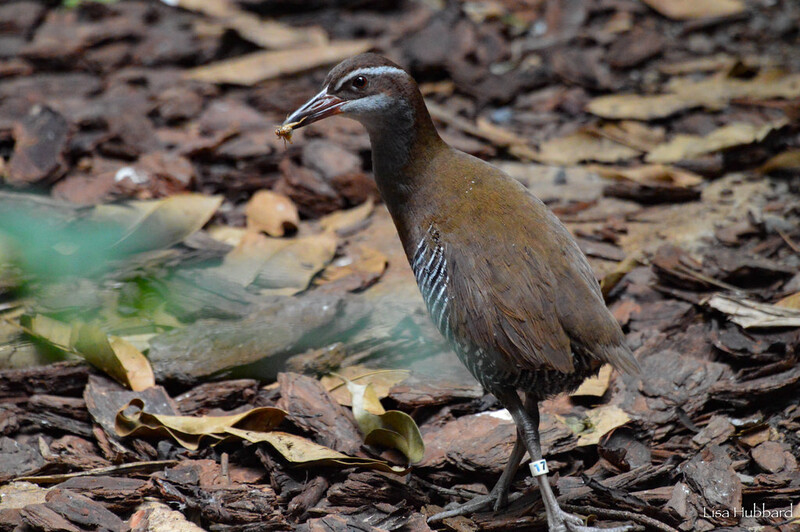 Only 154 Guam rails exist in the entire AZA population, which is managed by the SSP. The SSP started releasing birds on Rota in the 1990s but hasn’t quite established a fully self-sustaining wild population. Recent reports from the Guam Department of Agriculture, however, suggest that rails are beginning to flourish there on their own. It’s still not possible for the birds to be reintroduced to their native Guam, but conservationists are working on it. There are an estimated 300,000 brown tree snakes on the island despite attempts to control the invasive species that wiped out the Guam rail and other indigenous bird species after it was inadvertently brought in with military supplies during World War II. The flightless rails and their easily-accessible ground nests were easy prey for the snakes. By 1987, the population that once included an estimated 10,000 birds was down to 21. These remaining few were removed and brought into human care. All the Guam rails on the planet today descended from these birds. Visitors can see the chicks and their parents in the Australasia habitat in the Wings of the World bird building. The secretive species is often hard to spot, but with chicks running around behind mom and dad it should be a little easier. Pro tip: Stand still and look at the ground.